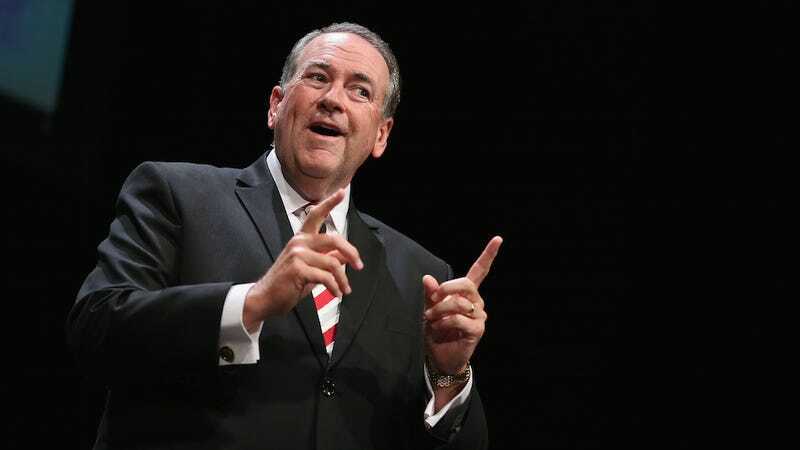 This weekend, GOP presidential candidate Mike Huckabee showed the world exactly how tasteless he could be when he compared President Obama’s Iran deal with the Holocaust. The National Jewish Democratic Council and the Anti-Defamation League and the founder of the Simon Wiesenthal Center have also denounced his remarks which is basically having all the elder Jews of America bang their gavels and demand he exits the presidential race. Okay, speaking as merely one American Jew, I can tell you Mike, we are so grateful for your concern but we would also love the gift receipt if you still have it?